Though the PV segment has witnessed a growth, rise in fuel prices and onetime payment of insurance premium remain a concern. The PV segment has recorded a marginal growth of 1.55 per cent in October. Passenger Vehicle (PV) sales is back on the growth track in October after witnessing a slump in the previous month. The PV segment recorded a marginal growth of 1.55 per cent in October selling 284,224 units in the domestic market compared to 279,877 units in the same month last year. The major gainers in October were utility vehicles (UV) which posted a growth of 3.90 per cent at 82,414 units compared to 79,323 units in October last year followed by vans segment which grew at 3.55 per cent selling 16,410 units in October against 15,848 units in the corresponding month last year. However, the growth of passenger cars in the same month was nominal at 0.38 percent selling 185,400 units against 184,706 units in the same month last year. The cumulative sales in the April-October period grew 6.10 per cent selling 20,28,529 units compared to 19,11,883 units in the same period last year. On cumulative basis, Vans recorded the highest growth at 12.96 per cent selling 126,799 units as against 112,251 units. The growth was followed by passenger cars at 5.87 per cent selling 13,54,897 units in the April-October period compared to 12,79,783 units in the same period last year. In the same time, 546,833 units of UVs were sold against 519,849 units in the April-October period last year, recording a growth of 5.19 per cent. 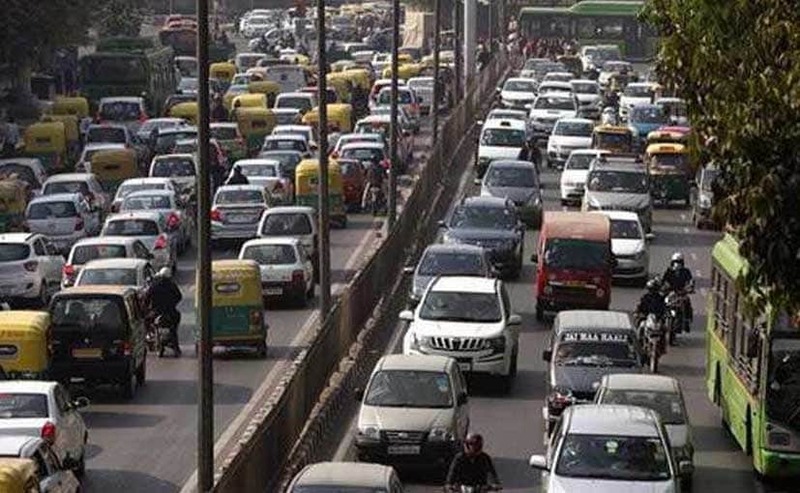 According to Society of Indian Automobile Manufacturers (SIAM), the fillip in sales is a result of slightly improved customer sentiments during the festive season especially in tier two cities. Moreover, the automobile industry was under the pressure of a high base for last couple of months primarily because of the pre-buying on the predictions of GST revisions which happened in the same time last year coupled with early arrival of festive season. "Finally after three months we have seen a positive change in the PV sales, though the growth is nominal. The base was high in last few months mainly because of the anticipations that happened last year due to GST revisions and then the festive season was also there," said Sugato Sen, Deputy Director General, SIAM. Moreover, some of the recent launches like the 2018 Hyundai Santro and Ford Aspire along with being a growth driver for their respective companies have also subtly contributed in the overall sales. However, the growth in sales is attributed to the wholesale figures and the industry is yet to observe the impact of some of the headwinds like rise in the fuel prices and onetime payment of insurance premium that may be affecting the retail business. "SIAM only has access to the wholesale data which automakers provide. The rise in fuel prices or insurance premium may be affecting at the retail level now and we can only have a clear idea about it in coming months," added Sen. The rise in fuel prices and other micro factors if have affected the retail sales then the growth in coming months is also likely to be subdued due to inventory build-up. If the dealers will have stock left with them, chances are that the wholesale will be affected.